Learn more about the six primary modalities. 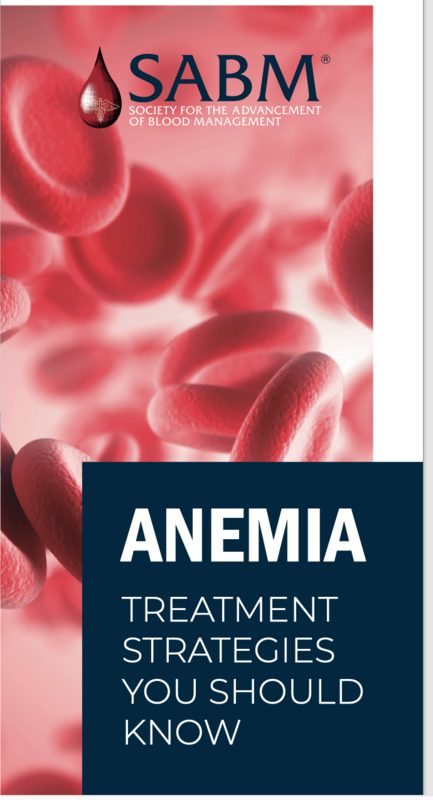 A leading clinical resource for treating iron deficiency anemia. SABM PBM CERTIFICATE COURSE WITH EXAM – NOW ONLINE! Physicians, nurses & other healthcare personnel looking to grow their knowledge and skills in Patient Blood Management—from ethics to advanced techniques—should consider enrolling in the new online course. SABM Call for Abstracts Deadline: May 10, 2019. Accepted abstracts will be published in the SABM Supplement of Anesthesia & Analgesia and will be presented at the SABM 2019 Annual Meeting in Baltimore, Maryland. Go to https://sabm.2019.exordo.com. 2 Transfusion Overuse. Exposing an International Problem and Patient Safety Issue. What is Patient Blood Management (PBM)? 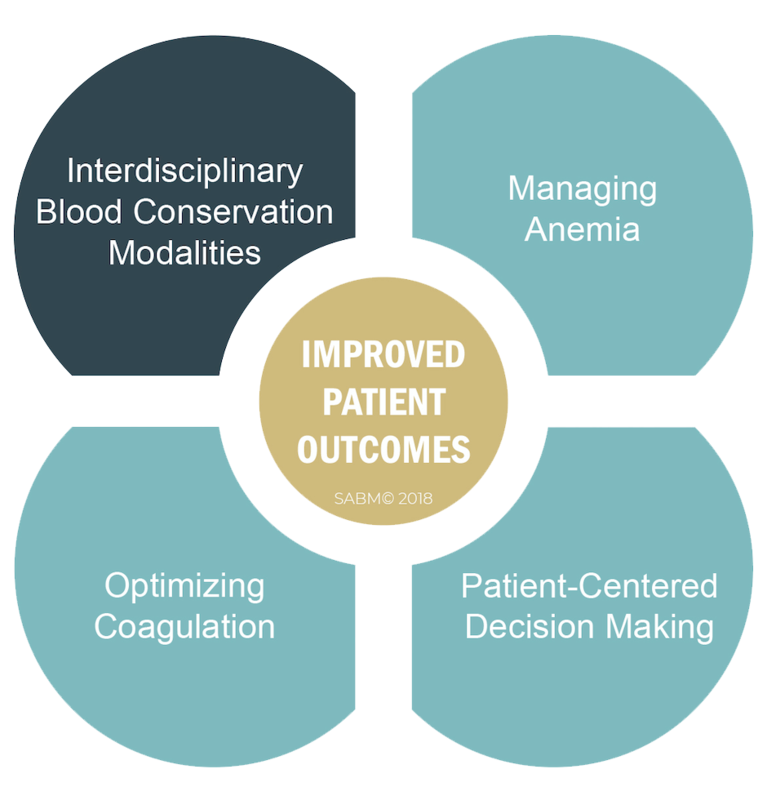 Patient Blood Management (PBM) is the timely application of evidence-based medical and surgical concepts designed to maintain hemoglobin concentration, optimize hemostasis and minimize blood loss in an effort to improve patient outcome. The SABM Research Grant is intended to advance the field of patient blood management by supporting an investigator who intends to study methods of advancing the prevention, diagnosis and treatment of patient blood management-related issues or concepts. The grant provides starter funding to further scientific inquiry and clinical knowledge in the field. Learn more or donate today. 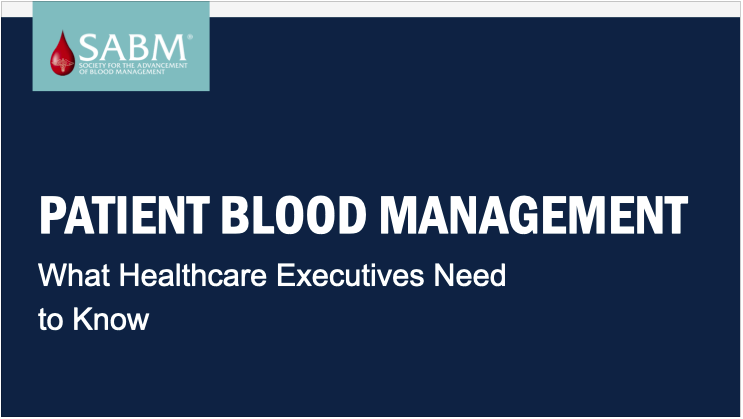 Learn more by downloading the new Patient Blood Management - What Healthcare Executives Need to Know presentation. Anemia is a condition that indicates there are not enough red blood cells in your circulation to transport sufficient amounts of oxygen to your body’s tissues. Oxygen acts like fuel—it provides energy for your muscles and organs to work. With anemia, other body systems have to compensate to deliver an adequate amount of oxygen to the tissues. For example, the heart beats faster and breathing becomes more rapid as the lungs take in air. Download the patient and healthcare consumer guide Anemia Treatment Strategies You Should Know to learn more.